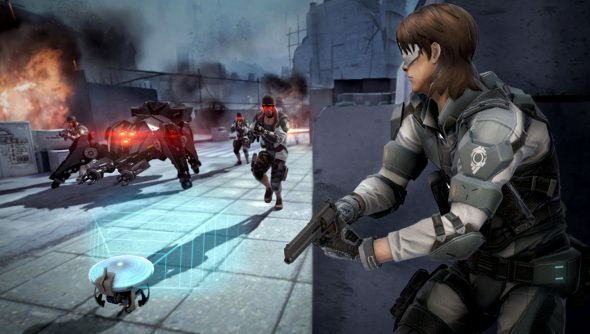 I remember rather enjoying Ghost in the Shell: Stand Alone Complex – First Assault Online when I first played it. I didn’t foresee that I’d ever need to type the game’s name again, but there’s a free weekend, and it’s quite a rad little shooter. Plenty of other great first person shooters out there, if you know where to look. We did the hard work for you, and dug up the best FPS games for the PC here. That doesn’t quite excuse the 10 word title, but if you can get past that, there’s a lot of great stuff here: GITSSACFAO, to give it an acronym like gargling glass, is a solid multiplayer shooter that skipped out on a lot of free to play mechanics to deliver a solid experience. It’s not amazing, but I watched a lot of the anime series in the vast expanse of time afforded to me by university and seeing characters I recognise pirouetting around arenas, so perhaps i’m biased. But Fraser dug it too, you trust him, right? You can pick it up over the weekend from Steam for free, until Sunday. It’s actually going totally free to play once it leaves Early Access, but for now it’ll run you to £3.99/4,99€/$4.99. If you like it though, there’s lots of gear on sale within the game too. It’s a good time to give it a go and see if this is the game for you. If nothing else, cyborg soldiers!